Really excited for all my new books this week! I really needed a reason to get caught up on the Morganville Vampire series, and now I have one. :) All of these books sound really great, and I can't wait to check them out! Niiiiice!! I still gotta start Rachel's YA series one of these days! Great haul, I also loved Cinder and I can't wait for Shadow & Bone. Enjoy! Great mailbox! I got Silence and Black Dawn as well this week and I can't wait to read them. I loved Cinder! Shadow and Bone sounds so good and I have heard so many great things about it. I hope you enjoy all of your books! Cinder looks so pretty! 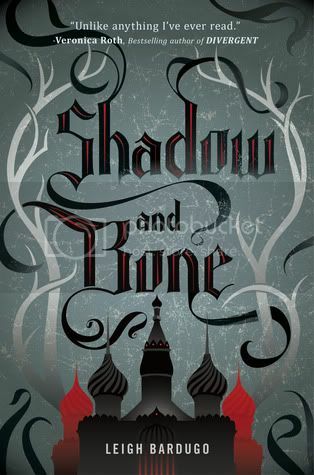 I really want to read Shadow and Bone, everyone's gushing about it and it has a GORGEOUS cover. Happy reading! I want all of those books in your mailbox! Great haul. You got a lot of nice books this week. I have heard a lot of great things about Cinder. It sounds like a really good book. Great haul! I just started Cinder a couple of days ago, and I'm excited to get into it and see how it all unfolds. The cover for Silence looks gorgeous! Must check it out, for sure. I want to read Silence and Cinder rocked. Lovely haul this week! OMG You got Surrender!!!!!!! I loved Possession :D Can't wait to hear what you think! Lovely books! SHADOW AND BONE, CINDER and ANGEL BURN are all part of my way-too-huge tbr-pile and I hope to get to them soon. Love the sound and look of SILENCE as well, so really looking forward to your review on this one! Hi Christy! Thanks for dropping by - Silence really looks intriguing! Yay! I haven't Cinder yet but I've read amazing reviews on that one and Shadow and Bone?? Jealous! ;) Hope you love it! I'm so, so excited for Shadow and Bone! I think I'll get started on it soon. Enjoy all your new reads! Hi Christy, I've been seeing Cinder around and it does not seem to get old. 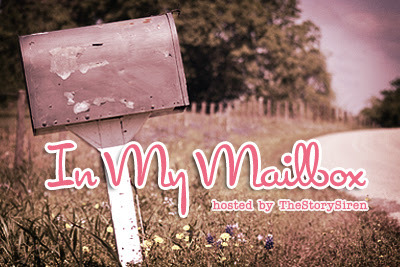 There is at least one mailbox every week that has it. Shadow and Bone also looks intriguing. Have fun with your great new reads this week. Great books this week. Shadow and Bone is getting rave reviews. Can't wait to read it. Cinder is fantastic. It's definitely one of my favs for the year. Enjoy! Haha, we're IMM twins for some of these today! Have you read Black Dawn yet? The craziness is so intense and I was biting my nails a few times. Rock on, Morganville! Wooohoo! And Silence gives me the happy chills. You know the ones where you're sort of creeped out but really excited anyway. And I generally enjoy necromancer stories, so I don't see how that can go wrong. And I NEED TO OWN CINDER. It's kind of a crime that I don't. I HOPE YOU DIG SHADOW & BONE. I've heard nonstop good things about it and I'm on the verge of dropping everything JUST to read it. Wonderful books this week! I can't wait for your review on Cinder. I'm one of the few people who still haven't read it yet! Happy reading! 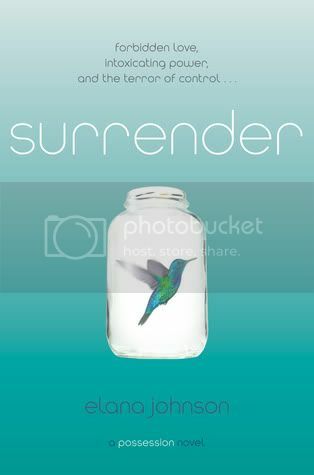 Oh, awesome cover for Surrender! Can't wait to read that one. I can;t wait to get to Shadow and Bone on my NetGalley list! I loved Cinder. Such an interesting take on the classic fairy tale. And what fascinating e-galley you got. I can't wait until these books are published. Have fun reading. Oh I really need to read Cinder, it sounds so awesome! Enjoy them all! I hope you enjoy your new reads! I really liked Cinder! I think I need to add The Morganville Vampire series to my to-read list! I'm dying to read Cinder! Enjoy it! YES! CINDER! Read it! You'll fall in love with the characters. Such a fun read. Great mailbox this week. So many amazing books! I am forever jealous!!! I requested S&B but still haven't gotten a reply so ~crossing my fingers~ And LA Weatherly!! I've got to read Angel Fire ~book 2~ ASAP!!! Can't wait!! !